I’m just seeing quality throughout! Congrats on another winner Eddie! I think the Everest will be my second TF watch. For international orders, do you only ship via courier, or can you ship via post? Asking because the brokerage fees in Canada for couriers amount to highway robbery. As for the 'too short' hour hand on the Speedbird, it's perfect, and it defines the watch. Don't ever change it! Last edited by greenandblack; 15th December 2018 at 03:42. These new versions of the PRS-25 look fabulous. With a 6.5" wrist, the 36mm looks like it will be perfect for me, and I hope to be one of the people online early enough to get an order placed on Tuesday ! Thanks to all those who have contributed to the two threads about these new models. 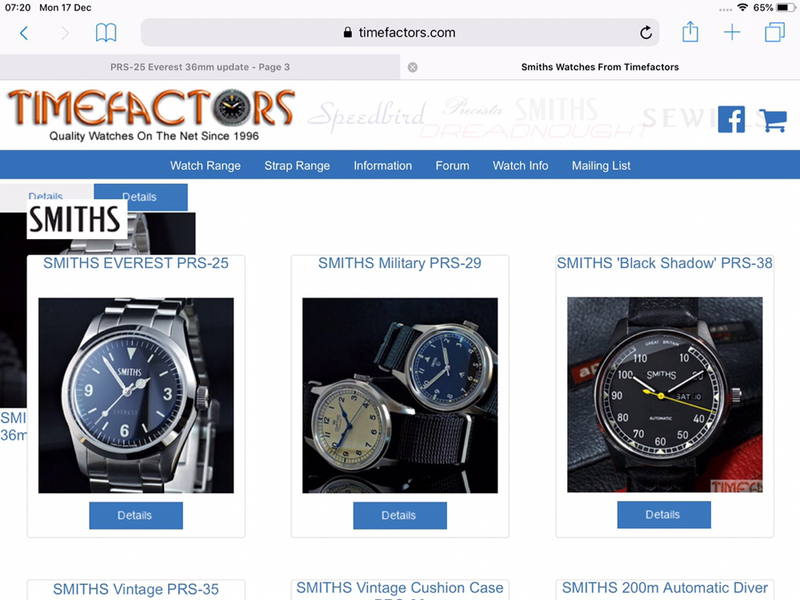 It's been very interesting to read through, and see the evolution of the design, and I love the fact that the company owner is sharing so many details and consulting in advance with his potential purchasers. I'd be interested to see how this looks on the wrist, very impressive I bet as the proportions appear spot on (to me). I reckon with those nicely shaped lugs it'd look rather good on a strap too. I had, just about, persuaded myself that I should wait and get one of the white versions. Then you post this photo. Damn, that’s a fine watch. 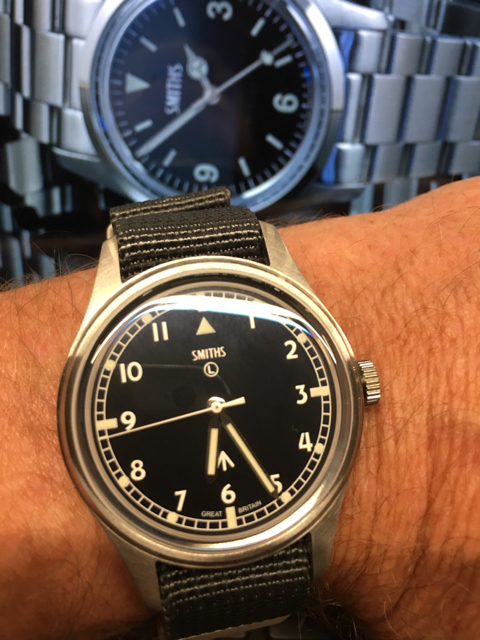 I am excited about the 36mm versions about to be released, but unable to decide between black and white dial versions. Such a beautiful watch. Wonder though if the 36 might look a little small on my 7.25” wrist. Look forward to seeing eventual wrist shots. Everybody should wait for the white dial. Hi Eddie, can you confirm the thickness, please? Thanks. Don't be coy, felt thicker. Last edited by tempfort; 15th December 2018 at 23:27. 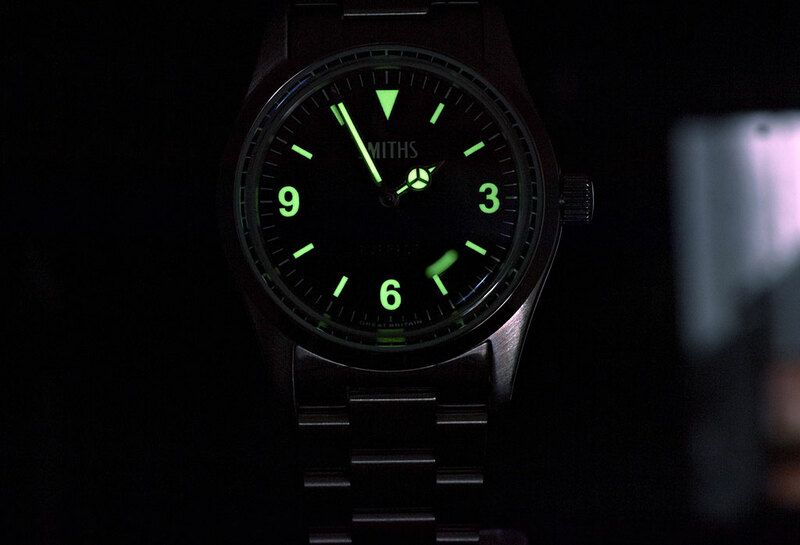 Good lord, I was already sold on this, but that lume shot... Wow. I'll be at the airport for a flight to London on Tuesday morning, flight is scheduled for 7.40am so hopefully have time to get an order in beforehand! Eddie congrats, to me this is absolutely perfect and I am now desperate to get my hands on my first TF! I see the price is up on the website. £320 seems great value to me. Because of the crappy exchange rate, the cost savings on the smaller crystal were wiped out and it ended up costing very slightly more than the 40mm version but because everybody will expect to pay less for the smaller version, I made it a tenner cheaper. A decent gesture, but many manufacturers have the same retail price across different sizes. I think you should just sell it for the same as the 40mm. It is every bit as desirable. It’s ok on my iMac/Pad/Phone. Phone and desktop is showing, not on iPad, weird! Found it. Part hidden behind the 40mm version. Last edited by Tenko; 17th December 2018 at 08:22. Wonder how many are sitting in front of their computers with their significant others thinking - oh bless, up early doing more Christmas shopping for the family. At least two of us anyway ! Last edited by 459GMB; 18th December 2018 at 07:48. There's no point, it wont open until 7.30! I am getting nervous ! Last edited by TF23; 18th December 2018 at 08:32. Ordered one, and really looking forward to having this on the wrist. Thanks Eddie ! Order in, looking forward to getting it soon. Purchase made, thank you Eddie! Can barely contain excitement, here's hoping it arrive before Xmas :) And my flight is about to take off so perfect timing. Flight mode on! Order placed! Fingers crossed number 11 is making it’s way across the Atlantic to Tennessee in time for Christmas! Ordered one - totally chuffed ! Thanks Eddie ! More greatly anticipated than any other piece I've bought over the years!